Be secure in your own home. Kite elite is well aware of the issues surrounding lock cylinder snapping and general attack and is at the forefront of efforts to solve these problems. 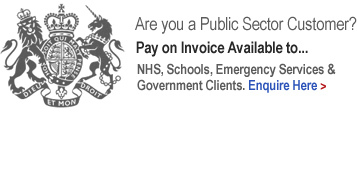 Currently, the best home protection is achieved by choosing locks, cylinders and door hardware licensed and approved by BSI Kitemark. 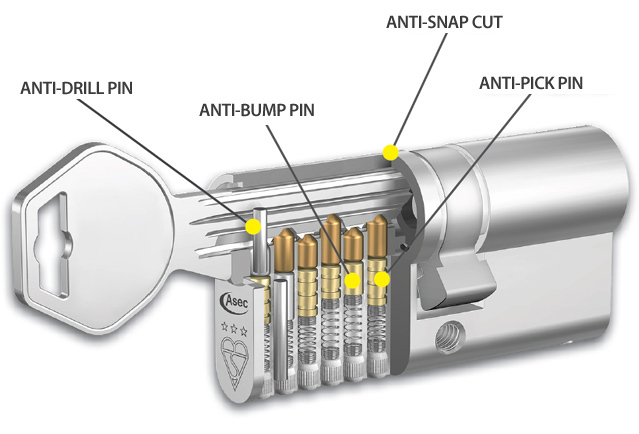 Kite Elite snap secure cylinders are 3 star rated, meeting security standard EN 2005-04 TS 007:2012, the cylinder offers maximum protection against most types of door attack: Snapping, Bumping, Drilling and Picking. 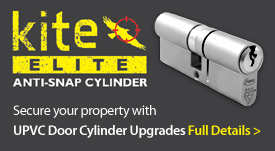 Kite Elite cylinders are available in a wide range of sizes, designed to retrofit doors fitted with Euro Cylinder Lock Cases, including PVCu. Available in Nickle Plated and Satin Brass, no need to change door furniture. 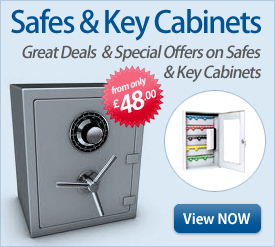 Supplied with 3 keys as standard, can be keyed alike for added convenience. The new Kite Elite anti-snap range includes cylinders offering a TS 007 3 Star rating, which will give protection and reassurance to end users. The cylinders are anti-snap, anti-bump, anti-pick and anti-drill and are compliant with the BS 1303 Kitemark to guarantee quality and safety. If you are looking for a wide range of quality affordable cylinders that surpasses the 3 Star rating, then Kite Elite is the ideal choice..
Kite Elite offers maximum protection against door attacks through: Snapping, Bumping, Drilling and Picking. The Kite Elite cylinder complies to the standard called TS007 which rates the cylinder and is insurance approved and recognised as a high security solution by police authorities. 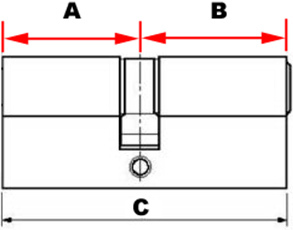 The standard is characterised by a star rating system, where the cylinder and door furniture must accumulate three star to achieve the minimum security requirements for the door. The cylinder can achieve three stars only if it passes the test. Kite Elite cylinders achieve this 3 * without the need for changing door furniture and are TS007 Kitemark Accreditation suitable for any PVCu or composit door - front and porch door, conservatory door or rear door. Stapletons Lock & Safe would encourage homeowners to replace their locks to meet these standards and achieve the most up to date levels of home security.